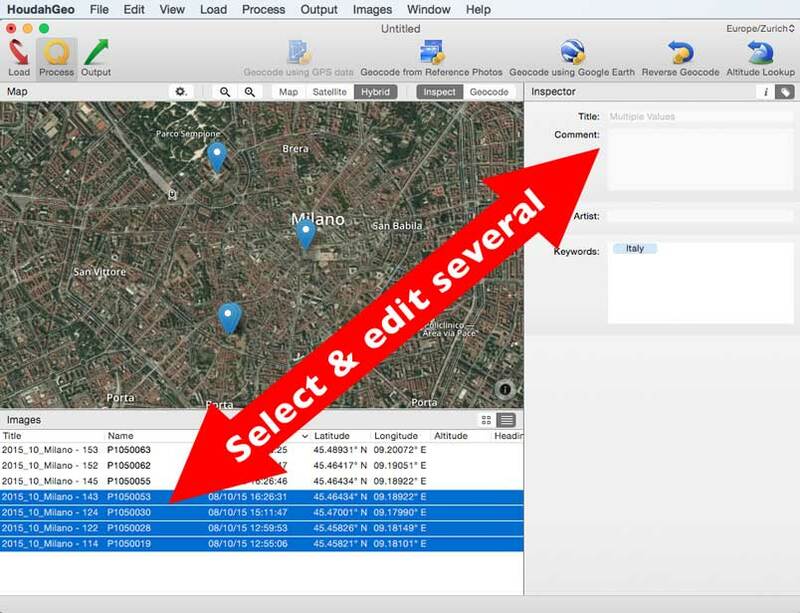 While HoudahGeo‘s core function is geotagging, you can also use it to edit other metadata information. For example, you can add Title, Comment, Keyword, or Artist information. 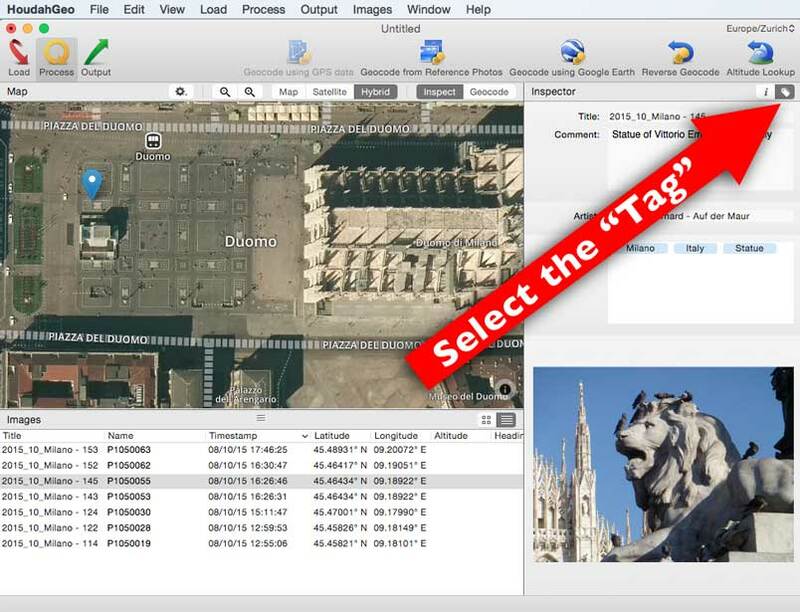 Selecting the “Tag” icon in the Inspector pane on the right while in Process mode will bring up these options. Quick Tip: Add the same information (e.g. Artist name) to several images at once: Select them all in the list on the left (shift-click to select a range, cmd-click to select individuals), then add the info in the Inspector pane on the right. Remember to export your metadata using “EXIF/XMP Export” in the Output step and notify your photo library (for photos within iPhoto/Aperture) when you’re done. defaults write com.houdah.HoudahGeo defaultAttributeValues -dict "copyright" "Copyright_Info"
From now on, whenever you export to EXIF/XMP from within HoudahGeo, “Copyright_Info” will be written into the respective metadata field of every image file.